Tumorous formation arising from the body of pancreas, the tail of pancreas has dilated duct and is atrophic. 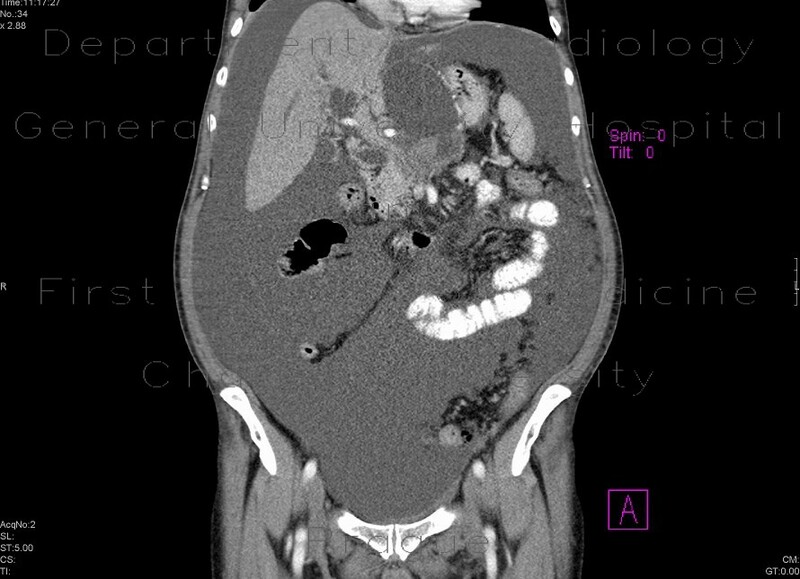 Multiple small nodules on the mesentery. Massive ascites.